The 17th Annual Genealogy Lock-in presented by the Waco-Mclennan County Library will be streamed online on October 20th. The above image was shared with us from the publicity flyer from the Nancy Carol Roberts Memorial library in Brenham which will be streaming the event live for their patrons. Here is the streamed programming schedule for the day. One in every 25 Americans has a connection to an Orphan Train rider between 1854 & 1929. Over 200,000 children were relocated from the East to the West coast on trains. Texas was a vital part of this history. Research techniques and resources will be demonstrated. Researchers will learn how use resources to create a family tree, record and organize their information, and navigate online and archival records to find their ancestors. Learn a fresh approach and up-to-date information in this first-step Beginner’s class. The Regional Historical Resources Depository (RHRD) Program of the Texas State Library & Archives Commission collects, preserves and makes available for public use the historical records of the local governments of Texas. The RHRDs house records with genealogical interest, in microfilm but also original paper records. The presentation will introduce you to these wonderful sources of information for your genealogical and historical work. 2:50 – 3:50 pm My Texans during the Republic. Learn how to track your generations back to your Ancestors during the Republic of Texas through birth and death certificates, census, and wills. Learn ways to find where your Ancestors lived and their contributions to Texas during the Republic through land grants, military records and other documents. While it is possible for you to analyze your DNA matches one at a time to determine how you are related, there is much that can be accomplished by first identifying the connections between those on your match list, and then working together to determine how you are related. Learn the tips and tricks to this powerful method of match analysis. This presentation will cover the strategies and sources (both online & in print) to trace your Moravian or Bohemian ancestry. Explore obstacles in identifying place of origin and tools to overcome them. Learn which documents to research first, and which are the “icing on the cake.” Czech/German/Latin forms names, places, and professions. Following up research with a visit to the ancestral area and meeting relatives? Learn what to know beforehand and what to expect on the spot. Yearning to “read all about it?” Newspapers are a fantastic source of research leads, information and historical context for your family history. Learn the specialized approach and tech tools required to achieve success in locating newspapers, and uncovering the genealogical gems they contain about your family. Do you know or suspect that you have a WWI veteran in your family tree? If so, discover what resources are available to identify and provide information about your ancestor that served in the Great War. A variety of resources including draft registration records, service cards, newspapers, vital and cemetery records will be discussed. The annual Literacy Texas Conference is coming up at the end of the month in San Marcos and is one of the best resources for both adult literacy and 9-12 grade home schooling. Please consider attending if your library provides services directed toward these groups. For more information and to register to attend, please visit their website. Literacy Texas will be holding their 2016 annual conference on August 1-3 at the Embassy Suites San Marcos – Hotel, Spa, and Conference Center. The conference will provide training on every aspect of developing and maintaining an adult literacy program, with researched methods and experienced instructors. Scholarships to attend conference are available for volunteers and staff at Texas libraries not already receiving professional development funds from the Texas Workforce Commission. There is a limit of 5 scholarships per library, and the scholarships cover the cost of registration only. The Literacy Texas 2016 Annual Conference is open to anyone working in Adult Education and Literacy. For more information, please visit the Literacy Texas website. The summer conference is known for stories, workshops, feasts, and fun. Our featured presenter this year is Charles Temple, PhD. Starting on Friday the 17th and continuing through Sacred Tales on the 19th, gather with friends, new and old, to increase your knowledge of using storytelling in a wide variety of environments, build your storytelling skills, and broaden your attitudes to the diverse application of storytelling your world. Be sure to book your hotel room early, by May 17th, so you can be staying right on site. And with plenty of local restaurants nearby, you won’t have trouble finding a place for a nice lunch break. You’ll want to see everything from the opening concert to final moments on Sunday. We have day passes and full weekend passes – and you can choose to enjoy a fine barbecue meal with salad bar, deserts, and drinks on Saturday night from local favorite, Uncle Dan’s BBQ & Ribhouse. We’ll have our Story Store and guild area as in previous years – and a host of tellers and fun for all! Save $15 by registering before May 17. Share this live webcast author event with Kate DiCamillo, this year’s National Summer Reading Champion, with your local schools to help promote your SRP! Visit the website for more information and to register to view the live event. Friday, May 13, 2016, 10:00-11:00 AM CDTJoin two-time Newbery award-winning author Kate DiCamillo as she discusses her newest release, Raymie Nightingale, a masterful, moving novel about an unforgettable summer friendship. Sign up now! We encourage you to set up an class assembly for this live event, so all of your kids, parents, and teachers will be able to watch and participate. To view the LIVE webcast, sites need just an internet connection and web browser. Sponsored by: Candlewick Press, proud publisher of other DiCamillo favorites including Flora & Ulysses, The Tale of Despereaux, The Miraculous Journey of Edward Tulane, Because of Winn Dixie, and the Mercy Watson series. The West Texas Literacy Symposium will be held March 19 at the McKenzie Merket Alumni Center, 17th St, Lubbock, TX 79401. This professional development program will feature a variety of training topics to promote adult literacy awareness and initiatives, including a keynote from TWC AEL Director Anson Green. See the Literacy Texas website for more information or to register for this event. 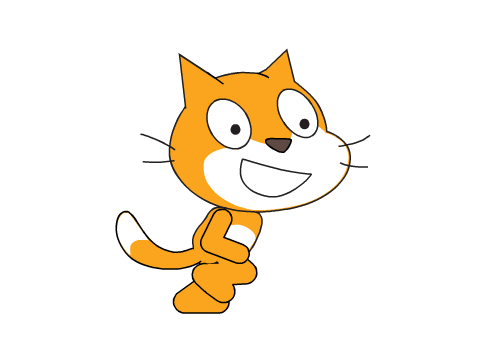 Our Youth Services Specialist Katelyn Patterson recently finished coursework in a 6 week long EdX MOOC on programming using Scratch, the free computer programming code language developed by MIT to teach kids how to code. The course is now archived and available to take at your own pace for free. She highly recommends it if you are interested in using Scratch in robotics or makerspace programming at your library! It has great little projects you could mimic with your patrons and will give a good overall understanding of how the language works. Also, it does a great job of showing how the drag-and-drop coding easily relates to other more complex programming languages which will give children the confidence the stick with coding!